Stoneware tableware, plates, cups and bowls in different sizes. 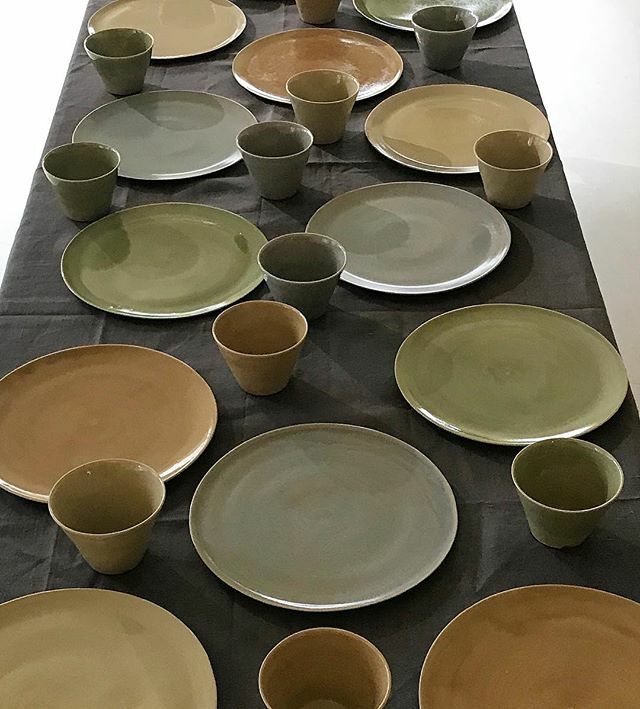 All pieces hand thrown: Here for 12 persons, plates diameter ca 30 cm, cups diameter ca 12 cm. Available, in four different craquele celadon glazes. Dishwasher safe. I launched the edition ‚PUR‘ in 2006. Also today, in 2018, it looks simple elegant – timeless. It was a real pleasure to make that set for so wonderful clients as J.A. and B.M. are! They already ordered a set for 10 in 2009 and now they needed more pieces because their family is growing.